You’re Sassy, Classy & Pretty Bad Assy! 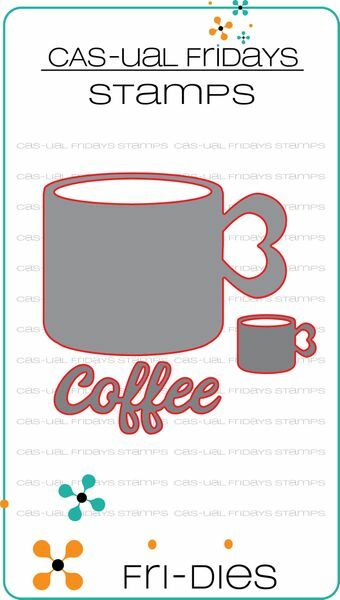 Hello Cas-ual Fridays stamp fans! 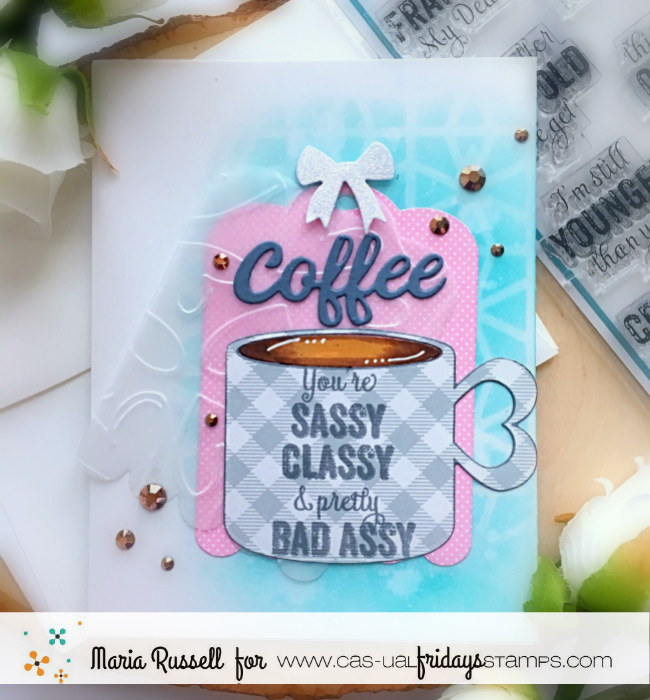 I was pretty giddy creating this card I’m sharing with today showcasing a LOT of products from CAS-ual Fridays Stamps. 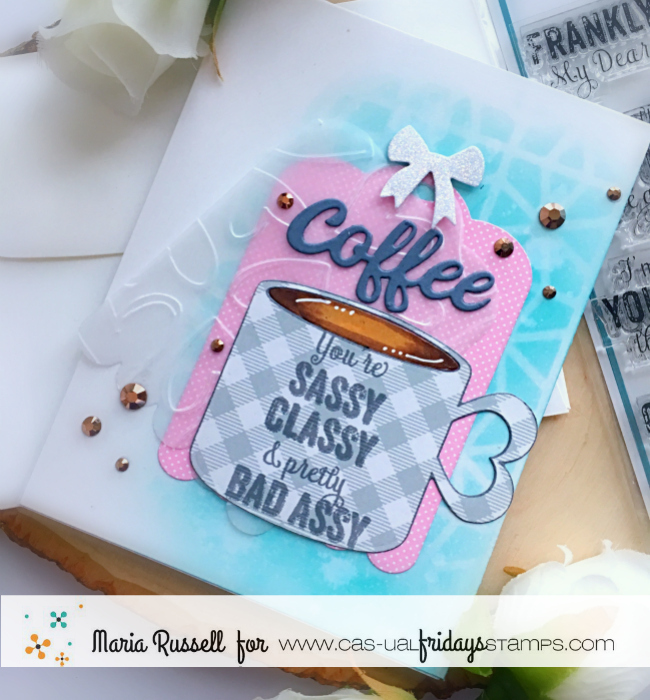 I used one of my all-time favorite stamp set called Frankly’isms with the Cup of Coffee stamp set and Coffee Cup Fri-Dies and the Scallop Tags Fri-Dies. 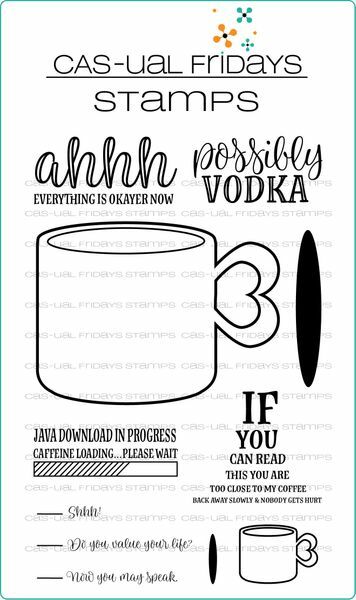 I started out by stamping the Coffee Cup image on a gingham patterned paper and die cut the same with the Cup of Coffee Fri-Die. I die-cut the tags using the Scallop Tags Fri-Dies with vellum and patterned paper. 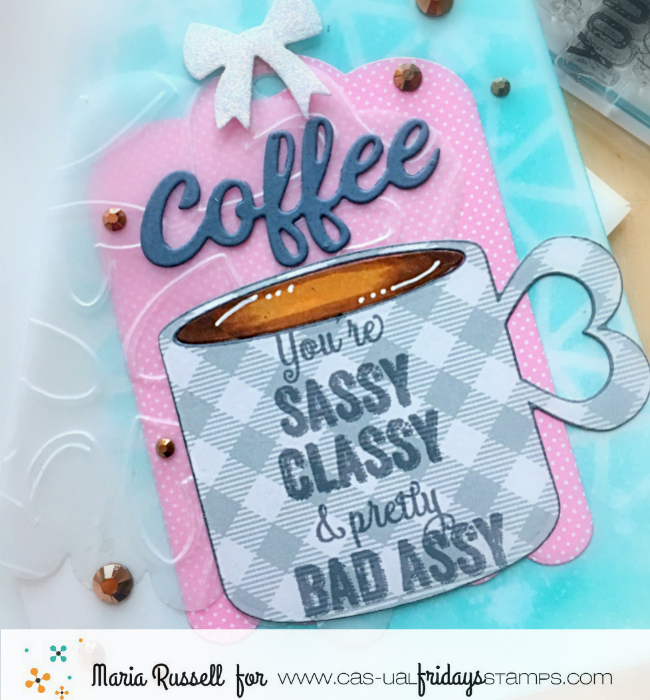 I ran the vellum tag on a hearts embossing folder to give it more dimension. I adhered both tags using mini glue dots. On a piece of Bristol smooth white card stock, I used a stencil from my stash to add some color to the background with distress oxide inks. I sprayed it with water to get the oxidize effect. I adhered the tags onto my colored background. I stamped the sentiment onto the “coffee cup” and adhered this piece on top of the tags. To finish the design, I added the bow on top of the tag and also added some brown jewels to make them look like coffee bubbles. 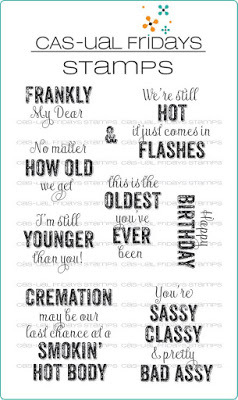 I hope you like my card today. 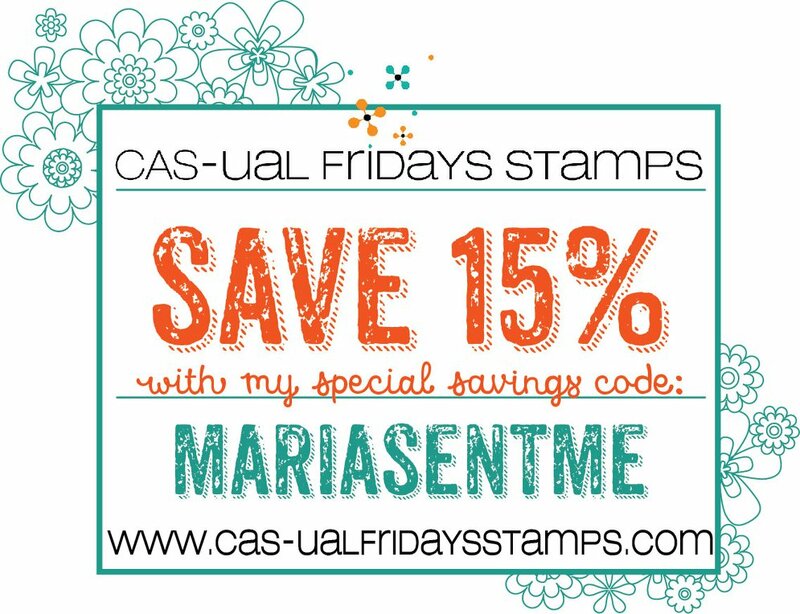 Don’t forget that you can use my coupon code below to get 15% off your order. 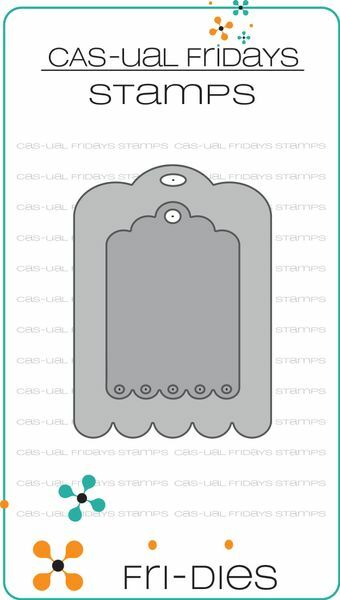 Check out the $5 or less stamps and dies available now before they get sold out. Happy crafting!